My first post so please be gentle. I have been wondering what colour other people have been painting the Kuznetsov deck. Also does the cylindrical thing on top of the mast rotate in real life ? strange question but my 1/350 Kuznetsov is going to be RC and I am looking at silly extras. Peter as for colors many people have different ideas. All I can tell you is get some pictures and do your best. Currently my model is no where near that stage so I have not even looked for any information yet on the colors. Now as for the cylinder on the top of the ship I would guess it doesn't rotate on the outside but inside that would be a hole other thing. On my ship I hope to have the elevators, Hanger doors, Some guns, missiles, Deflection from the jet exhaust, Lights and sounds operational. Mind you at 1/72 you also have the room to do what you want. Good luck with your project. Send some pictures. Not sure if this is the correct forum area yet but anyway, I am building the PLA Navy sister to the Kuznetsov, lots of removal and filling on the 3 main deck pieces, otherwise looks the goods. My question is: Trumpeters paint guide and box side show "Coco Brown" almost Tamiya "Red Brown" for the lower hull. 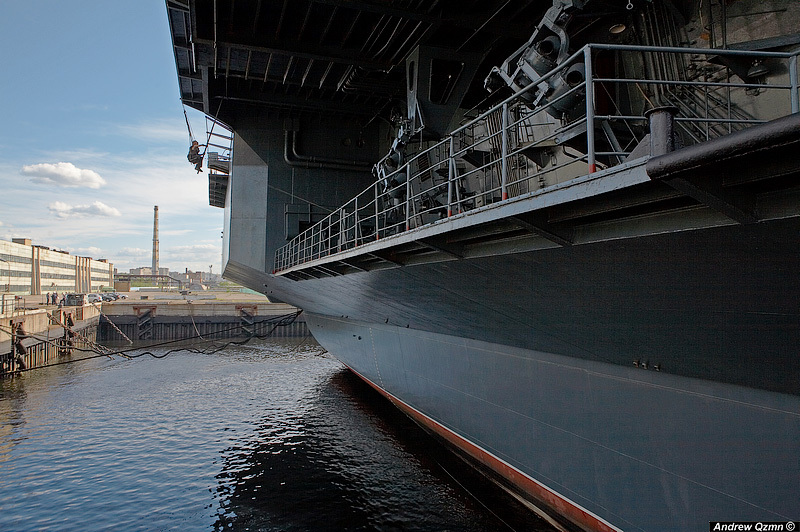 But when you see some of the actual photos the ship has a black lower hull. Does anyone have any thoughts / comments? Peter From pictures I have in simple terms the hull is grey, Fine White Line, Thick Black Line, and hull red below. I said simple terms.... Don't even get me talking about what's on the deck. Good luck with your project. there on display and maybe even running on the water. Mick, thank you for the reply. Having looked at pics of the deck it strikes me as not as dark as you would expect. Dave at WEM suggested their RN light deck grey as a good match but at the moment they are out of stock. It is not often that I venture into surface ships as I am mostly an RC submarine person, the Kuznetsov is a break from the 1/144 scale HMS Vengance SSBN I am scratchbuilding a model that will be fully functional and static diving. I just wish I had the space to build a big model like you are. Good luck with it I have read through your previous posts and can't wait to see it finished ( and with all the working extras). Thanks for your reply to my question of the hull colour on the 1/350 PLAN carrier "Ex-Varyag", I ended up painting it the colour on the box which you have pointed out is not correct, some further research I have done confirms that your plan IS the correct one. Have nearly completed the full hull with Gold Medal etch set so re-painting would not be much fun now. Thanks anyway for the response. I will see if I can make it to the show. Much appreciated. Wow Mick, that is one big boat your after. I just purchased the Trumpeter 1/350 and I'm not sure if that was a right decision cause I don't know where I will put it. I'm working on the Tamiya Big E and that's going to be a pain to keep once finish. I'll be following this thread for sure so I can see as much as I can about this boat. I have a spare box of Trumpeter SU-33UB Flankers that I may use, does anyone know which (SU-27 or SU-33) are the more "correct" to ues? The NATO call sign is Su-33. Sukhoi has declined further development of the Su-33 (aka Su-27K). The Russian Navy and Indian Navy have developed a new MIG-29K. 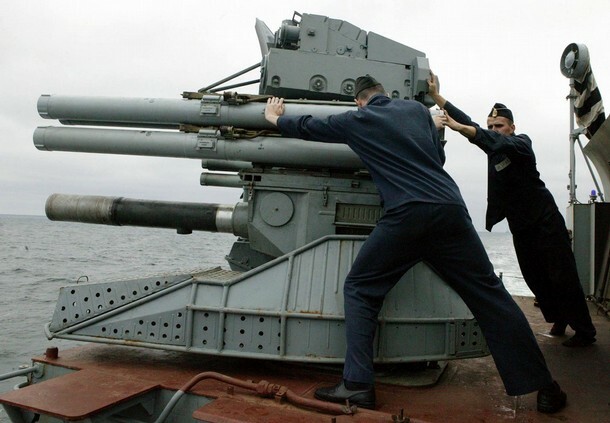 Its not much like the original version that was dropped by the Soviet Navy in the late 1980s. 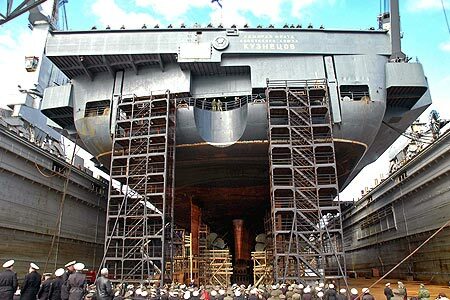 The Admiral Kuznetsov is now or will soon enter a mid life refit. The refit will amongst other things will introduce two waiste catipilts, fit the ship for the operation of the new MIG-29K version, delete the P-700 Granit (NATO: SS-N-19 "SHIPWRECK") launchers to make additional space for the expansion of the hanger. The Su-33 will probably be phased out as soon as the MIG-29K is fully operational. I plan to get Trumpeter 1/350 PLAN Carrier, since it is a lot cheaper than Kuznetsov. However, I plan to convert it to Kuznetsov, since I think it is more colorful. what are the differences between these 2 ship? is there after market Kuznetsov decal that I can use? As you can see from that pic, the PLAN has added the "16" pennant number to either side of the bow and to the bow on the ski-jump. In addition they have re-arranged the antennae from the instructions that came in the model. 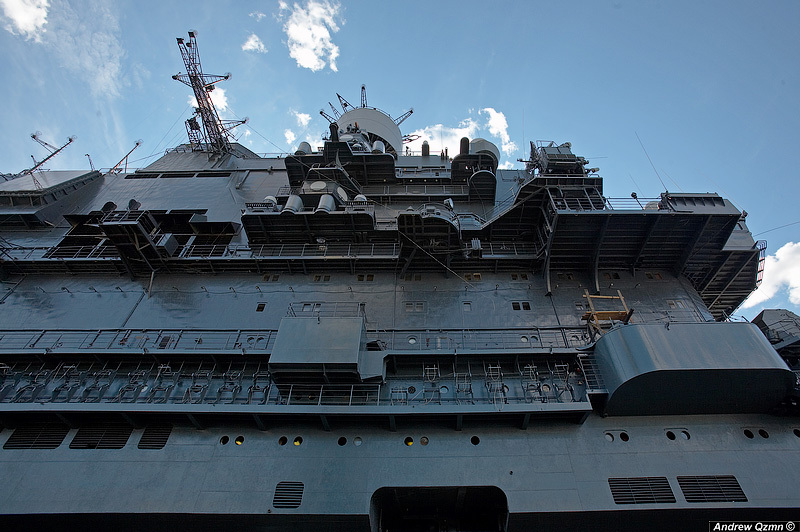 Thee four large antennae foerward of the bridge have been taken down and moved to the port side of the flight deck side. The four antennae on each side of the bow have been reduced to two each and those other two have also been moved to the port side. The added the pennant number "16" to the vessel on either side of the bow and forward on the ski jumb just aft of the bow. I have been keeping close track of the Liaoning progress since its launch and am constantly updating my 1/350 scale model to match their latest configuration. Another change is that the whie outline marker for the landing area has been extended completely forward to the end of the angled deck like US markings...abandoning the Kuznetsov-like landing outline from before. That site alos includes all active aircraft carriers of the world, as well as all active large, flat-deck amphibious vessels. I am working on a long term porject to build complete carrier strike groups for all of the world major navies. Currently I have the vessels for the US (centered on the YTamiya USS Enterprise), the PLAN (centered on the Liaoning), the UK (centered on the HMS Illustrious), the French (centered on the Charels de Gualle), the Russians (entered on the Kuznetsov) and the Japanese (centered on the Hyuga). When Australia comes out with the Canberra and Hobart models, I will build a Aussie group as well. Same with the Inidans and the VIkramaditya or Vikrant when those 1/350 scale models become available. I am considering doing a Brazilian based on their Sao Puala which I could build easily from the old Heller och model in 1/400 scale. On the subject of Liao Ning, I noted that GHQ have now added her as the latest addition to their range of 1:2400 'micro' ships. If anyone likes such tiny models (noramlly used for wargaming), the ones I've seen from GHQ are very fine little models, particularly their later releases, so this one should be very nice when complete. Comes with 10 Sukhoi jets and 5 helos for placement on the deck, and decals. Any pics yet as to how she'll look after her refit? Does anyone have an opinion on what the best photo-etch to use on the trumpeter 1/700 Admiral Kuznetsov kit ? Thanks! Latest picture of my 1/72 Admiral Kuznetsov. Mick you should stop "wasting" your time on the Stereguchiy and spend more time on this behemoth! Any progress on any of your projects lately? 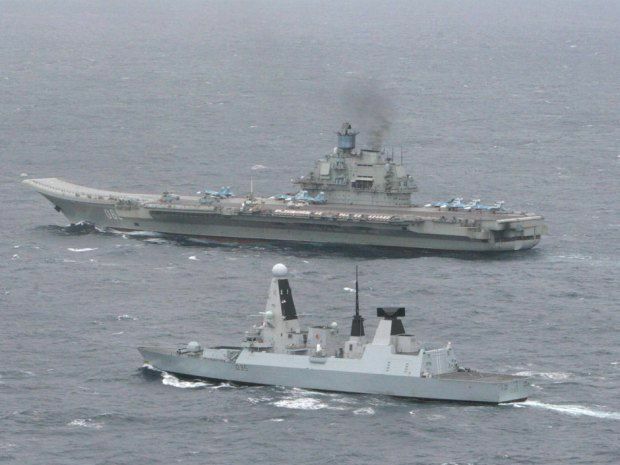 The issues raised in this 3-page 2012 article appear to be tied to a morale issue in the Russian Navy; the ship-specific issues may also provide insight into what the Chinese face with the the Kuznetsov's sister carrier Liaoning. Been a while since anyone posted here so here goes some new image found online. This should drive some of us modellers nuts with the detail that now has to be changes as per your model. Have fun :heh: I know I am. Thank god I haven't reached that far YET!!! Mick, question for you. Third picture down forward of the island what are those trucks chained down? Surely those aren't tow trucks for the aircraft? Maybe repair vehicles? OK Guest, I'll try to answer your question. At first when I was collecting images I didn't pay to much attention to that part of the ship. I was more interested I any details of the ship itself. 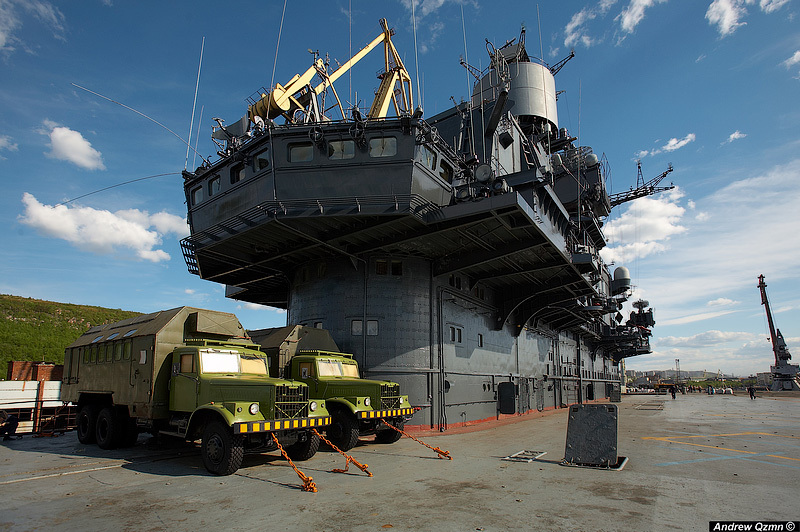 I thought great image withe some trucks that serve on board this ship. When I went back to look at these images yeah great detail of the ship itself. Please understand I'm building a model of the ship. For me the aircraft and other items like trucks and push bikes are for me decoration. Yes they are part of the ship but in the end it was ship first of all. If anyone else has a better answer go for it. I don't have a Kusnetsov myself (too big as I have loads of 1/350 carriers already) but it might be useful to someone? Disclaimer: I am not connected with either company in any way! OK for the people that have asked what is happening to the model of my Admiral Kuznetsov 1/72. Here is an update. Over the last few days I have been laying up deck panels of Fiberglass sheets 1 meter square. When they are cleaned and squared away I will post the next update. Sorry no pictures but it's hard enough laying up 5 sheets and 1 foam core making the deck quite thick. There is a bit of warping but it should be manageable. Once its screwed in place it (Fingers crossed) should be fine.